The key information in that release was a result of my Official Information Act request. Others have written more eloquently than I can about the significance of NZDF's admission. This piece is not about that. Nor is it a deep look at what comes next. This is about the detail, about why it took a year to get to where we are, and about how the NZDF’s position disintegrated. In short, the NZDF never operated in the Afghanistan villages cited by Stephenson and Hager and, so, the NZDF could not have been responsible for the casualties alleged in the book. That's what our military bosses said. 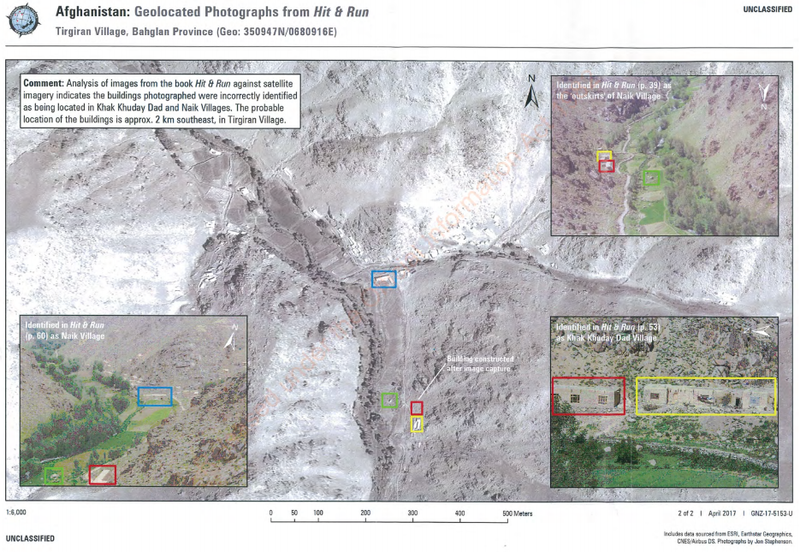 The released documents, however, show that that the bulk of Hit & Run’s visual evidence matches the location NZDF said they raided (the one exception being a satellite map perhaps understandably misread by villagers and which Stephenson and Hager admit is a mistake). 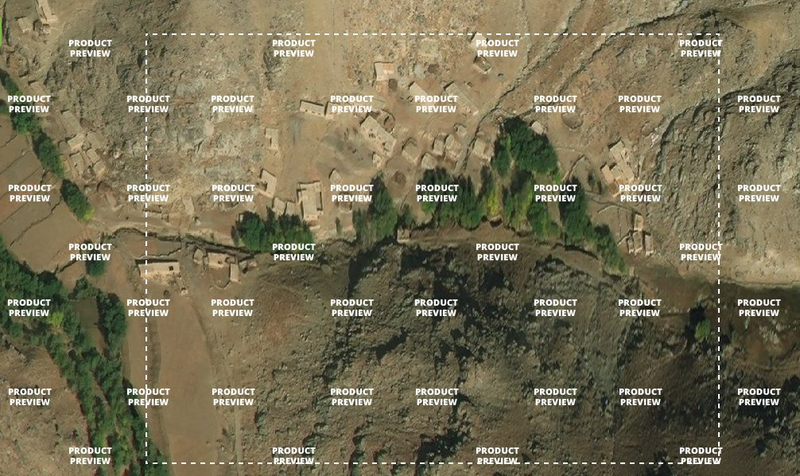 The NZDF’s own released material says the "photographs in the book are of Tirgiran Village" – the name the NZDF gives to the location of their raid. Cate Broughton’s summary of the released documents is as succinct and balanced as you could hope for. Anna Bracewell-Worrall’s too, along with additional context included a petition calling for an independent inquiry and an interview with Jon Stephenson. Susie Ferguson and Toby Manhire have provided the most original insight. Susie’s two interviews on Morning Report showed all the skills of someone who spent years reporting from multiple war zones and who has, no doubt, seen these kinds of misinformation campaigns before. Toby Manhire draws together various threads from last year and concludes that "the case for an independent probe was already compelling – now as the 'central premise' of the NZDF rebuttal turns to dust, it is overwhelming". The NZDF’s case evaporated due to investigations carried out entirely in public and online via Twitter. What follows are the highlights. On Monday 27 March 2017, Lt. Gen. Tim Keating hosted a press conference that attempted to rebut the allegations in Hit & Run. The main strategy was to undermine the allegations by saying the book had the wrong location. The central premise of Nicky Hager and Jon Stephenson’s book, Hit and Run, is incorrect. 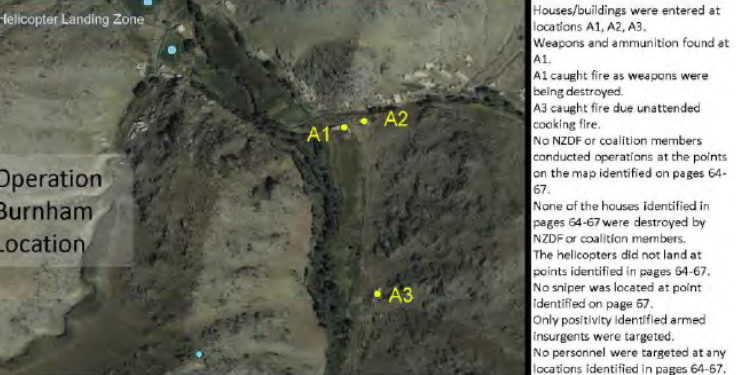 NZDF troops never operated in the two Afghanistan villages identified in the book as having been the scene of combat operations and civilian casualties. It is irrefutable that we operated in a different place. In support of this, Keating emphasised one part of the book – geo-reference points and an accompanying map that identified villages some 2kms and hours of trekking away from where NZDF had actually operated. 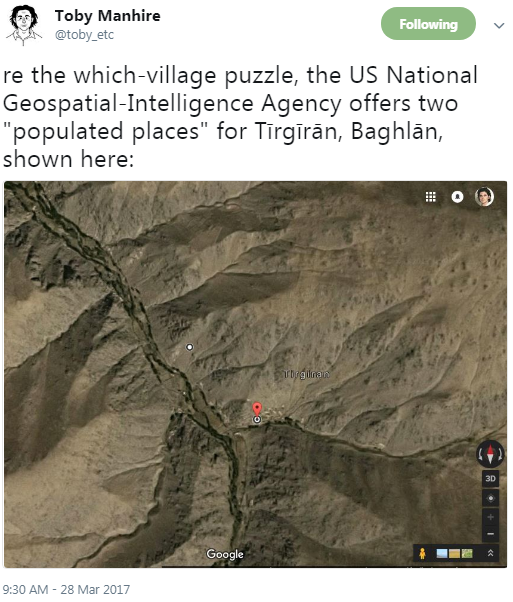 Keating said that “the authors have been precise in locating these villages with geo-reference points – so I have no doubt they are very accurate in the villages they are taking their allegations from”. In the following days few who had read the book and witnessed the press conference could believe that the book could have such a clear account of a raid – one, on the face of it, very similar to how the NZDF described their own raid – and yet have the location wrong. Yet the strategy worked for a time with many stories reporting on, but none judging the accuracy of, Keating’s allegation of ‘major inaccuracies’. Some went further. Heather du Plessis-Allan called the book “very, very sloppy journalism”. Nothing much happened for a while until I got around to buying a copy of Hit & Run from Unity Books. On Sunday 9 April 2017, I took my dogs to hunt rabbits and rats in Wilton Bush and found a sunny but private spot (-41.273498, 174.753945 because we know how important those geo-references are) to read the book. I reported my findings to Toby and Keith that afternoon: The buildings in Keith’s satellite images matched photos of buildings in Hit & Run and which had been provided by villagers to Stephenson. The only significance difference between the images was that one building had been erected since the satellite photos were taken in 2010. On 9 April 2017, it had incontrovertibly been proven that Hit & Run had the right location. 9 April 2017. That tweet sat pinned to my profile available to journalists for 11 months. Available even to Heather du Plessis-Allan, for 11 months. On 5 May 2017, and via Twitter, I made an Official Information Act request of the NZDF asking whether they could confirm that the photos (above) were "a major accuracy as to the location of the raid" (as opposed to the major inaccuracies they claimed were in the book), whether "any photos of the buildings in the book match information you have or have seen" and whether they provided Ministers with any information "regarding the book’s accuracy in regards to the buildings. If so, what was it?" I noted that by describing the book’s maps as "majorly inaccurate", the NZDF would have waived and right to claim 'national security' as a reason not to provide the information requested. On 2 June 2017, the NZDF responded by email, withholding all information on – you guessed it – national security grounds. On 6 June 2017, I complained to the Ombudsman, detailing several reasons why national security grounds did not apply – that the NZDF had waived the right, that the NZDF no longer operated in the area and that, even if those two points weren’t true, any additional harm would be minimal after what had already been released. I am also conscious that NZDF decided to issue a press release, and in doing so, gave a clear message that, in its view, the authors of Hit & Run had made a mistake about the location. I think the best way forward is for NZDF to provide some clarification that will include specific reference to the photographs you mention. The Ombudsman wrote again on 7 February 2018 to say the ‘NZDF intends to release further information very soon’. That information wasn’t released until 6 March 2018. The documents total 31 pages, of which one sentence on page 6 is vital: "Three photographs in the book are of Tirgiran Village." The NZDF had confirmed that the book got the location right. More than that (though the NZDF doesn’t say it explicitly), the buildings identified in the book are the exact same buildings the NZDF say they raided. The allegations in the book I think you’d have to discount because they appear to be about different places and different people. If there was further evidence then the Chief of Defence Force would be obliged to investigate. It seems to me that one of the fundamentals, a start point if you like, of any investigation into a crime is to tie the alleged perpetrators of a crime to the scene. There is now further evidence. The alleged perpetrators of a crime have been tied to the scene. Unfortunately, this episode and the NZDF’s continued muddying of the waters has demonstrated that the NZDF cannot be trusted to investigate itself. It is time for the Government to set up a full, independent and public inquiry of the type sought by this week’s petition. Please excuse the way the photos have displayed on this page. We don't often use photos on Pundit, so I'm not a pro at laying them out. But I did want them to be large enough for you to inspect. Thanks to Sam for his patience on this!